It should come as no surprise that insurance is necessary to run a successful business. However, many businesses, especially smaller businesses and those just starting out aren’t getting proper coverage because of the cost. That’s right, depending on your industry, and the risks that come with it, insurance may come with a big price tag. What many of these businesses are failing to realize is that while insurance may be pricey, it also will save you should something go terribly wrong within your business. More often than not, business owners will put their business at risk, without even realizing it, because they are too optimistic to realize how at risk they really are. So, If you’ve found yourself saying, “yeah yeah, it’ll never happen to me” you better check yourself before you wreck your business. To make your life easier, we’ve rounded up some of the most common mistakes small business owners make when it comes to assessing risk and getting the right insurance so that you won’t make the same mistakes. 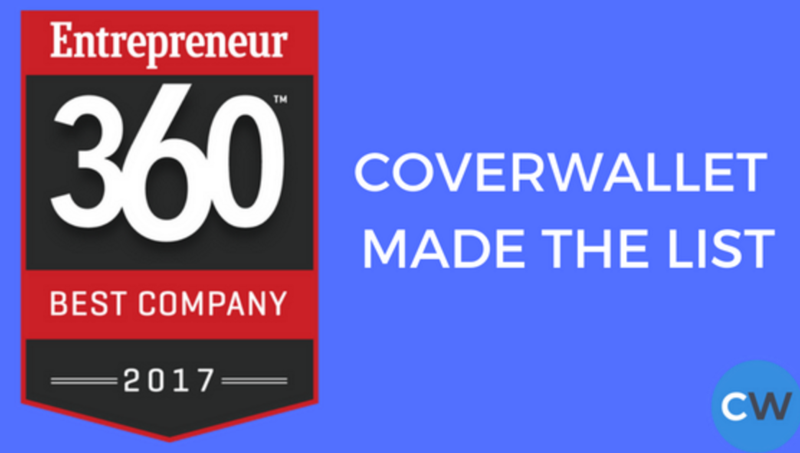 Awesome news: CoverWallet was named as one of the “Best Entrepreneurial Companies in America” by Entrepreneur Magazine! That’s right, we’re on this year’s Entrepreneur 360™ List. Honorees were identified based on the results from a comprehensive study of independently-owned companies, using a proprietary algorithm and other advanced analytics. 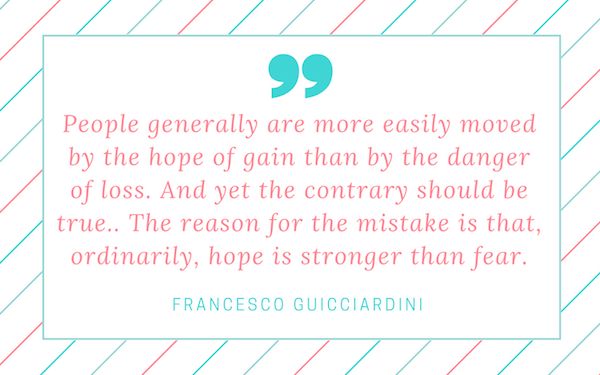 The algorithm was built on a balanced scorecard designed to measure four metrics reflecting major pillars of entrepreneurship — Innovation, Growth, Leadership and Impact. Our team has spent tireless hours building an industry changing product and this award is proof that we’re on the right track. We’re so proud of what we have been able to create so far and are incredibly honored to be among the chosen honorees on this year’s Entrepreneur 360™ list. There are many other companies that have made this year’s list, too. To check out it out head on over here. It’s no secret that at CoverWallet, we love our clients. We work hard to make the experience of getting insurance as seamless as it can be. We wanted to share a story with you, with one of our less traditional clients, Homer Logistics. So, we sat down with Marisa Smith the Director of Operations for the company, so we could tell their insurance story. 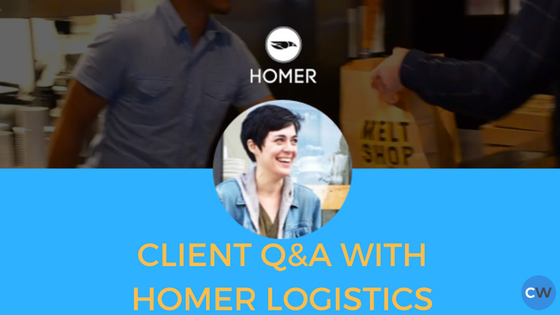 Read on to learn more about Homer Logistics and to read their insurance story. Phew! Let’s talk about this week. 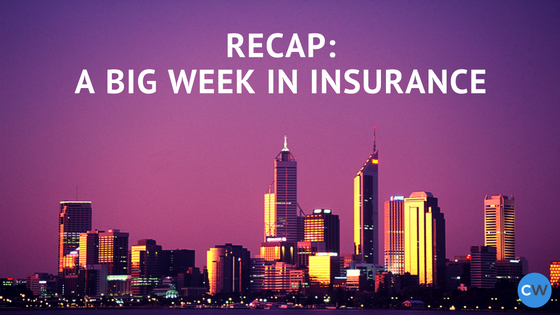 In the last few days, we’ve seen a hurricane, a jewel heist and a conference focused on the future of insurance. 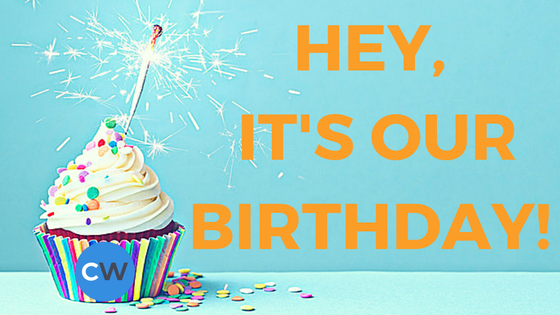 Big news: It’s our first birthday! Of course, a birthday can mean a lot of different things to a lot of different companies, but at CoverWallet, we decided to celebrate our first birthday on the day we were incorporated. Taking on a nimble approach, in the last year, we’ve been able to launch and build the first online insurance manager. From there, we’ve started partnering with some of the greatest minds in insurance, as well as consumers who need insurance, to build something that makes insurance work for everyone. The dog days of summer may be over, but in some offices, the dog days are just starting. 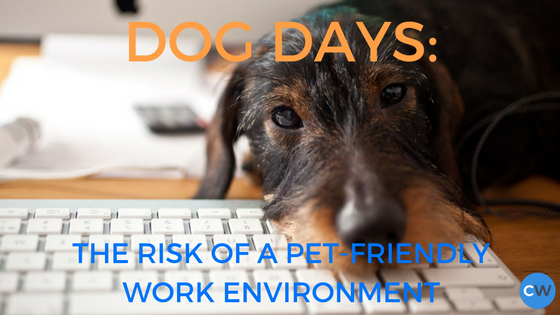 If you’re an animal lover, few things sound better than a pet-friendly work environment. Picture it now, puppies in every corner, lunch time snuggles, and someone to play fetch with when you hit your afternoon slump. Hold it, not so fast: While it’s true, that we’re pet lovers (one of our insurance experts even has snakes), we also know how important it is for you to consider the risks that come along with having a dog or other animal in the office. It’s been a hot New York City summer, but over the last few days, we’ve seen glimpses of fall around town. The humidity is lowering, apples are coming into season and September is just around the corner. 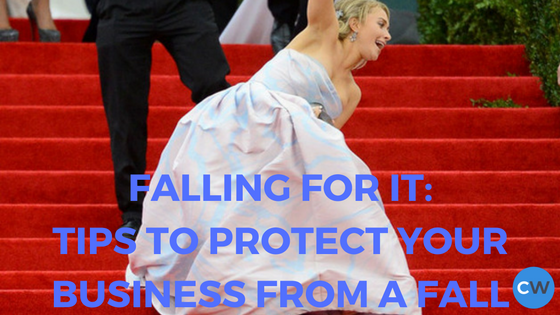 As such, we thought this would be an excellent time to talk about falling, a common injury-inducing incident and a reason for the victim to sue your business. A slip and fall accident can be very costly to your business in terms of both money and time. However, there are some things that a business owner can put in place to protect their company from any losses as a result of a slip and fall. It’s official; we have our presidential nominations locked in. Hillary Clinton and Donald Trump will go head-to-head in the race to become the next President of the United States, in an election that will surely be both dramatic and historic. 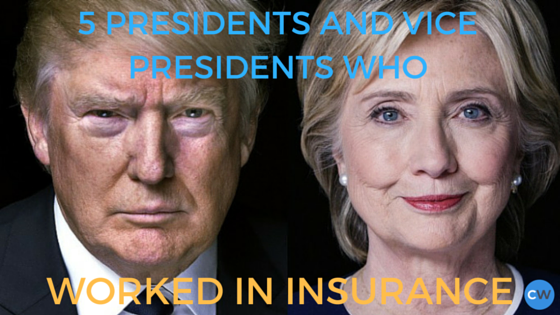 We thought the best way to go into election season was to shout out to some of our past presidents and vice presidents, who worked in insurance before or after their stint in the White House. One, because it’s fun and two because it’s history. It’s no secret that InsurTech is one of the hottest topics of the moment. It seems that everyone is talking about it, writing about it and tweeting about it. 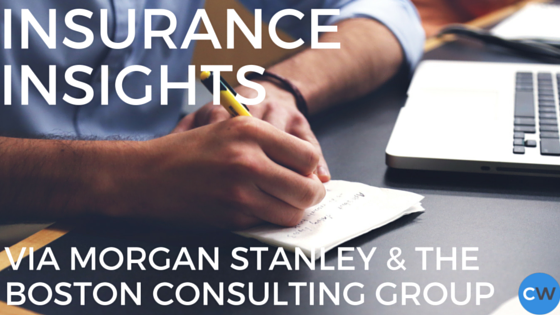 Recently, The Boston Consulting Group (BCG) and Morgan Stanley partnered up to write a report on insurance innovation for small businesses. The report, entitled North America Insight: Digital Disruption in Small Business Insurance, dives into the major drivers of insurance innovation. 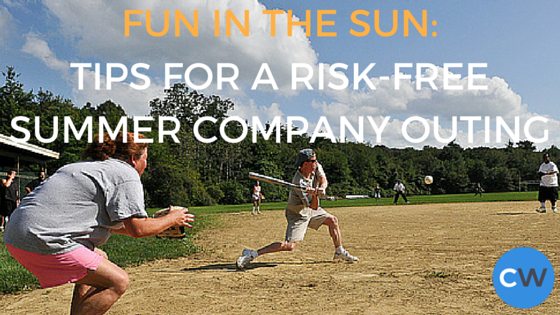 Summer is one of the most popular times to host a company outing, and why wouldn’t it be? Employees are happier; the grill is hot, and the weather is beautiful. To truly enjoy these summer outings and keep your employees and business safe, a business has to be prepared for mishaps that can occur at a company outing.